Through leadership in a family business, to his positions on The Greater Toluca Lake Neighborhood Council and the Toluca Lake Homeowners Association, to co-chairing the Toluca Lake Neighborhood Watch, Craig Strong understands values and community. A native New Yorker, Craig was a vital part of a four-generation family enterprise, Point Blank Body Armor. Within this rigorous, quality-conscious operation, Craig implemented his outstanding people skills, business sense and marketing talents. He soon rose to Vice President of Manufacturing for the largest producer and distributor of specialized, bullet-resistant body armor in the world. After the family enterprise was sold, Craig relocated to Los Angeles, becoming a property investor. His great success led him to develop his own clientele as a real estate agent. Craig has won many prestigious awards and continues to be a Top Producing Sales Agent. 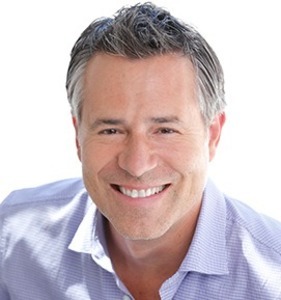 By combining his well-honed sales skills, and real property investment knowledge, Craig has catapulted himself into the upper echelon of real estate agents in the Greater Los Angeles Area, comfortably working side-by-side with business and financial managers, attorneys, and celebrities. In addition to his professional accomplishments, Craig's civic participation in Toluca Lake and Studio City, and his fundraising for Children's Hospital Los Angeles, demonstrates his desire to give something back to a thriving community. He understands the issues that impact local citizens and is helping to address and solve them. Craig lives in Toluca Lake with his wife Tara, an in-demand voiceover actor who can be heard on numerous children's animated series such as Rugrats, Powerpuff Girls, Fairly Odd Parents, My Little Pony, and Ben-10 just to name a few. Together, Craig and Tara are raising two sons—their "pride and joy!" Who better to have as your real estate agent than a highly energized and experienced individual who will exceed your expectations and goals in finding you a home, or deliver the swiftest, most effective and profitable results in selling and marketing your property? The answer is clear: Craig Strong has the strength and desire to work for YOU. He truly is your "strongest" choice in realty!